3. Mark the Anyone with the link option and click the Go Live! button. 4. You can go to any page of your issue and copy the direct link. 5. 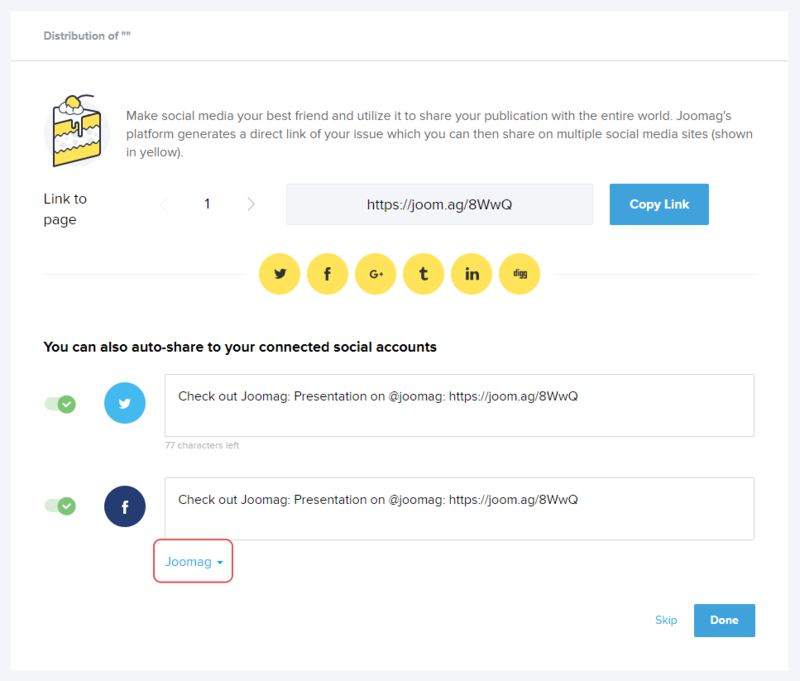 You can also connect your social account to your Joomag account and once your publication goes live you can choose to post it either on the Twitter wall or on your Facebook page if you have any. 6. After sharing your issue, we give you the opportunity to embed it on a website or to customize the link.